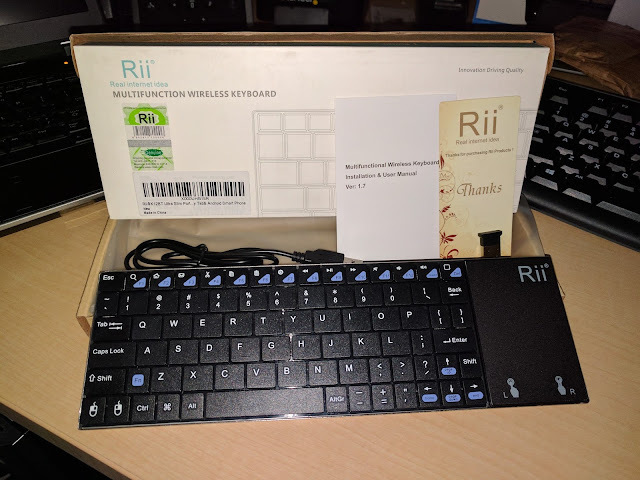 bluetooth K12BT Keyboard Portable Real Internet Idea Rii ultra slim Bluetooth Keyboard while on-the-go and for your tablet! Bluetooth Keyboard while on-the-go and for your tablet! Real Internet Idea has been on the topic of my latest articles this week. Why? They make some solid keyboards for all purpose; From gaming keyboards to portable, to match whatever your digital lifestyle might be. This isn't one of the common brands you'll see in a box chain like BestBuy, so you may want to give this some thought. The cost of this little travel companion runs for $42.99 on Amazon Canada and it sure to come in handy. While a lot of the Bluetooth keyboards I've seen on the market than to run in small form factor plastic or hard case shells they tend to have 2 problems; The soft plastic for the slims one often over a short period of time crack becoming useless, while the hard shell keyboards like the ones from Logitech tend to be bulkier and take up more room. This keyboard is pretty compact coming in at about 26 centimetres while still providing full keyboard functionality. The keyboard is made of aluminium all throughout which makes it a very solid. You can connect via Bluetooth enabled devices and in the event that you don't have Bluetooth enabled devices, you can use the Bluetooth dongle that comes with the keyboard. When it comes to the battery, you won't have to run around to find any as this baby comes with a built-in rechargeable battery via mini-USB. The trackpad works almost like the ones found on every laptop, one tap indicates a single click and a two finger tap indicates a right click, making it easy to use. Getting used to the small form factor will definitely take some time. While I prefer using Bluetooth 4.0, this keyboard is using Bluetooth 3.0. I'm sure that in the future it will be built with the latest specification on Bluetooth technology to increase range and longevity of use. Depending on the solution that you need, this might be something to consider.